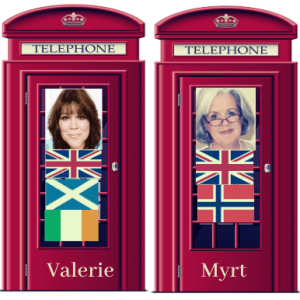 Have you been following Valerie Elkins and DearMyrtle’s joint venture: Valerie & Myrt’s Excellent Genealogy Adventures? If the answer is no or if you have missed a part of their ‘journey’ so far, you can always catch up by visiting their Facebook page or YouTube channel to discover their antics as they prepare for THE Genealogy Show, plus handy hints and tips for travelling and attending THE Genealogy Show. Real nice style and design and fantastic written content, nothing at all else we want : D.